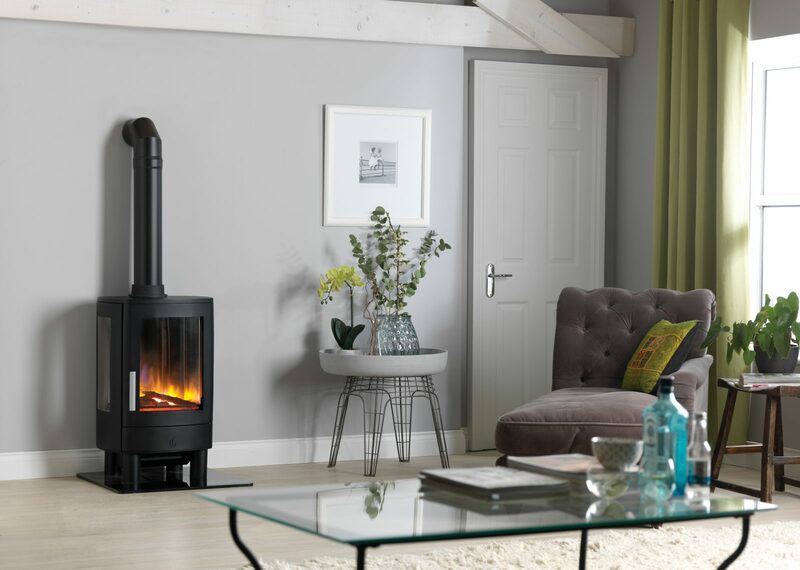 The ACR Neo 3F Electric Stove is a contemporarily styled stove with the distinctive feature of two side window panels, creating a focal point and sense of occasion for any setting. Constructed from premium grade lightweight steel, the Neo 3F Electric carries a 2-year manufacturer backed warranty as standard. 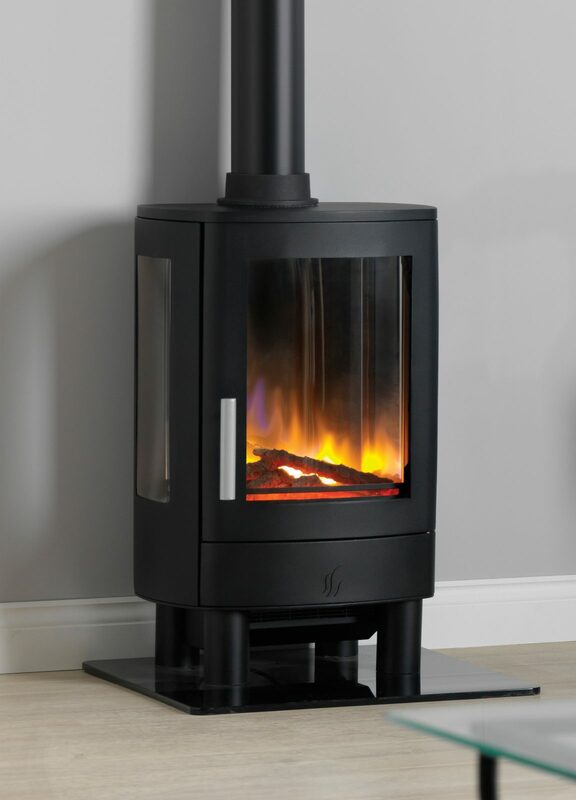 Featuring two different heat settings and four different flame settings which can be controlled with the fully programmable thermostatic remote control, the Neo 3F Electric also features the 3D holographic projection which creates an incredibly realistic appearance of flickering flames in the front, centre and rear of the fuel bed. 15% off this Stove! Use code ACR15 at checkout. Offering the best of traditional and contemporary design, the ACR Neo 3F Electric Stove has been designed and engineered to meet the needs of modern room heating. Constructed from premium grade lightweight steel, the electric stoves are beautifully finished in a traditional matt black powder coat finish, and all carry a 2 year manufacturer backed warranty as standard. Featuring some of the most advanced technology, the 3D holographic projection creates an incredibly realistic appearance of flickering flames in the front, centre and rear of the fuel bed. Equipped with two heat settings and four different flame settings, the fully programmable remote control can be used for convenient adjustment of all stove settings and features. The full range of ACR Electric Stoves can be found here. ACR Heat Products offer a fantastic range of quality stoves, featuring a mixture of solid Cast Iron and heavy gauge Steel. Each model offers its own distinct style and character to suit a variety of different home settings. All of the stoves offered by ACR now feature a 10 year manufacturer backed warranty when purchased through an authorised distributor such as Simply Stoves. Colour wise you will be spoilt for choice, whether you prefer the matt finishes of the steel stoves, or the luxurious coloured enamel of the popular cast iron stoves, you are sure to find the perfect complement to your fireplace. Large ceramic glass viewing windows are a standard feature with the ACR range, and give a clear view of the stunning flame effect within. Modern tech is in ample supply with the full range of ACR products, with features such as Cleanburn Technology, Airwash and Smoke Exemption all included as standard. With outputs optimised to suit most homes requirements the ACR stoves offer warmth, charm and dependability.